Since 2010 I have been pleased to spend my time treating your aches, breaks, sprains and strains. Prior to my employment here I attended Brigham Young University-Hawaii where I graduated with a degree in exercise and sport science. After graduation I attended A.T Still University and in 2010 was awarded my Doctorate in Physical Therapy. Since graduating I have sought opportunities to better myself as a health care practitioner and hopefully better serve each of you. 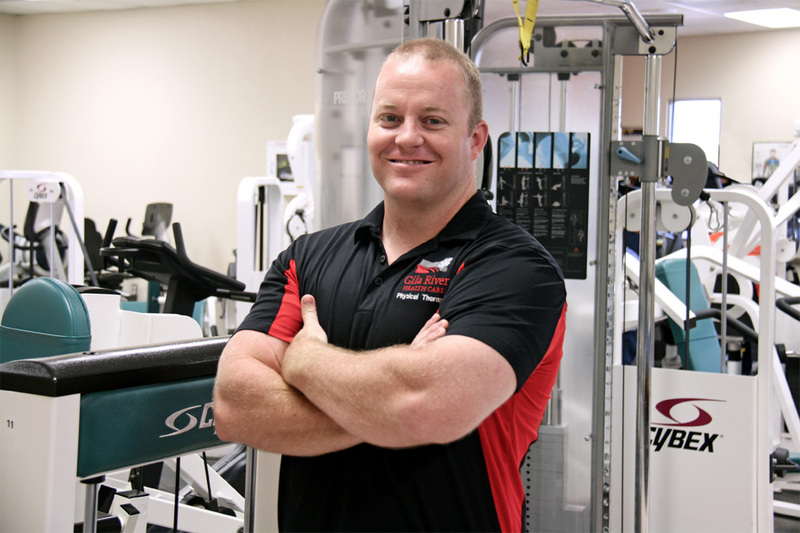 My areas of study and specific interest include Orthopedic Manual therapy and exercise/sport related rehabilitation. I also really enjoy people! I enjoy greatly the sense of community present here and the willingness with which you have shared your culture with me. I’m learning new words in O’odham every day it seems. When I am away from work I spend most of my time with my wife and our 5 children (yup really 5).We are a close family that love to coach and encourage each other in our individual sport/dance/music related goals.